Are you looking for a great new idea in fund raising? 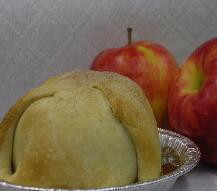 We are offering our famous, fresh-baked apple dumplings and assorted pies for excellent profit potential for your organization. loves a bargain! 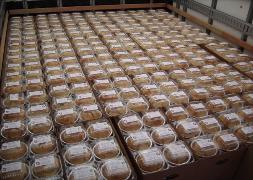 All of the apple dumplings and pies are individually wrapped and ready for delivery to your customer. Call ahead to reserve your date prior to taking orders. This enables us to bake your order fresh for your pick up date. Please decide on dumplings or pies. We are no longer mixing both in the same order. We fill a fresh, peeled and cored apple with butter, sugar and cinnamon. Then it is wrapped in our homemade pie dough, and baked in a sweet, buttery sauce. There is a minimum of 100 to get the fundraiser price. A $1.00 deposit is charged on each of the corrugated boxes the pies and dumplings are packed in. The deposit is refunded if the boxes are returned clean and re-usable. This allows us to keep our prices down so your organization can make more money. If you need your order delivered, please get a delivery quote when you schedule your fundraiser. We offer 8 varieties of 8 inch pies. 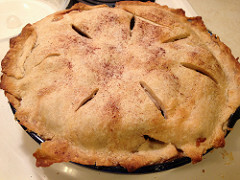 The varieties are: apple, apple crumb, wet-bottom shoofly, pumpkin (Fall only), cherry crumb, pecan, coconut cream, and bumbleberry crumb ( combination of apple, strawberry, blueberry, and black raspberry). 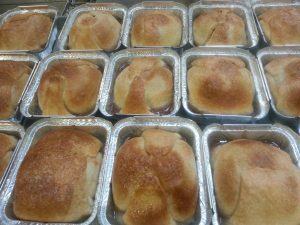 All our pies are made with our homemade dough and are baked fresh for your order. There is a minimum of 42 pies to get the fundraiser price.